No dream wardrobe is complete without accessories, that’s why part of a successful BattleShop strategy is leaving money in your budget for them! 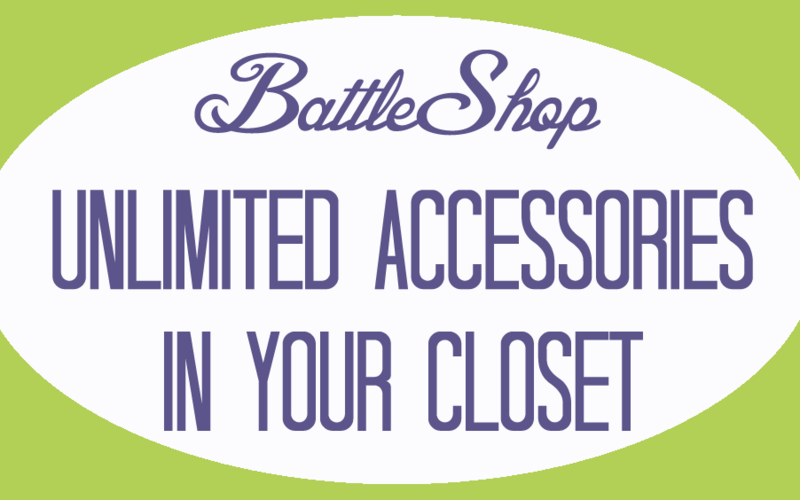 You can put an unlimited amount of accessories in every BattleShop closet you build, as long as you spend wisely on your required fashion roster items. Need some tips to help you save along the way? These gameplay tips could help save you hundreds! • That $500 dollar bag you love MIGHT be ON SALE at different retailer so once you find a must-have item for your closet by doing a general (“handbag”) search, make sure you do a designer & style name search (“Marc Jacobs Luna bag”) to find the best price. • Pay attention to your spending as you go. If you find you have a lot of money left over, you can always swap a bargain piece for a more expensive version from your Fitting Room before you LOCK your closet. • Use our price sorting feature to find the best deals on your fashion roster items. Sure that $700 leather jacket is calling your name, but there could be something just as cute for $200! Put these budget-saving tips to the test by heading to www.BattleShop.co and starting your own dream closet today. Good luck! When you’re BattleShopping you’ll be following a Fashion Roster each week with a required number of wardrobe items to put in your closet for competition. The only item on your Roster each week that has no limit… ACCESSORIES! This means you can splurge big time on as much jewelry as you want, just stay within your weekly BattleBudget of 5,000 BattleBucks (BBs). Remember, this takes strategy! You still need to save BBs to fill your closet with the required items, but it’s a great perk that we love! Take a look at the starting Fashion Roster for tomorrow and start thinking about what great pieces from your favorite online retailers that you’ll put in your closet!